Where to park an RV in a Canadian city? 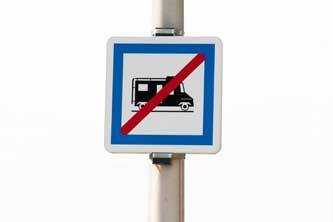 Before setting out on your RV road trip, it is important to note that RV parking is prohibited in some cities. The only city in Quebec with this policy is Montreal. You can drive your RV in Montreal, but you are not allowed to park in the street. It is also prohibited to park an RV in a shopping centre parking lot (with the exception of Walmart store lots). In Ontario this rule applies only in the Nation's Capital, Ottawa. Once again, it is not permitted to park in the street or in shopping centre parking lots. Tip: you can park your vehicle in Ottawa's neighbouring city of Hull, just on the other side of the bridge across the Ottawa River and a 10-minute walk from downtown Ottawa. You will avoid parking problems and will be able to discover Canada's Capital at your leisure. In British Columbia, you are allowed to drive in major cities such as Vancouver and Victoria. However, we strongly recommend that you leave your vehicle in a pay parking lot and to use public transport to get around.